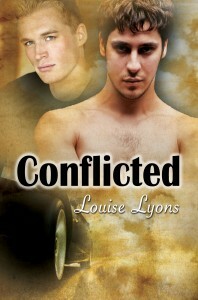 Hi everyone, Louise Lyons still on the blog. A few people have asked me lately what I’m currently working on, now that Beautiful Thunder has taken its first step out into the world. Well, firstly I’ve been working on edits for a novella entitled Finding Beck and have just received the cover art for it. It’s set in the same time period as Beautiful Thunder (the 1990s) but is based in my old hometown, Grimsby and Cleethorpes (the two are merged together), in the UK. I used to go to another rock nightclub called Jezebels who had a rock night on Fridays, and my main character, Martin Lynch, meets his love interest Beck in that club. The pair quickly fall for each other, but worry about the potential reactions of Martin’s housemate Graham, and both sets of parents. Some responses are better than others! You can expect to see this available around the middle of October. I’m also working on a full length novel set in Prague, another city I’ve visited. 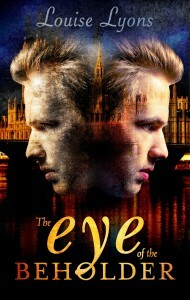 The book is entitled Cervena, which is “red” in Czech and is the name of a strip/dance/cocktail club owned by main character, Joel Jones, an Englishman who has lived in Prague for ten years. He discovers a young homeless Russian boy named Sasha, offers him a job as a dancer, and quickly develops a strong attraction to Sasha. 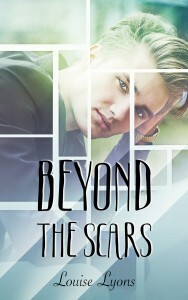 But their new relationship is fraught with obstacles including the death of Joel’s mother in London, betrayal by his business partner, Karel, and threats from someone to whom Karel owes a substantial amount of money. Joel is convinced he will lose Sasha one way or another, and has to decide what is most important to him – Cervena or Sasha. This story is about four chapters away from being finished so I’m hoping to wrap it up in the next month. I also have my first sci-fi romance in the pipeline. Regeneration was written during NaNoWriMo last year and finished during the month following. Kim Fortune is the only survivor of a new type of enhanced human in the galaxy of Sigma Kappa, far in the future. Having escaped the lab where he was created, he spends the first few years of freedom as an explorer, until he runs into a more successful member of his species – Christian Novak. Christian is everything Kim was supposed to be, but didn’t quite make the grade in, and he’s envious, confused, and insanely attracted to Chris. There seems no hope for them in the war-torn galaxy and Kim is convinced Chris will never feel anything for him – until Chris risks his life to rescue Kim from imprisonment after a crash landing on an inhospitable planet. I’m reworking some of the story after advices from readers, and hope to submit this later in the year. 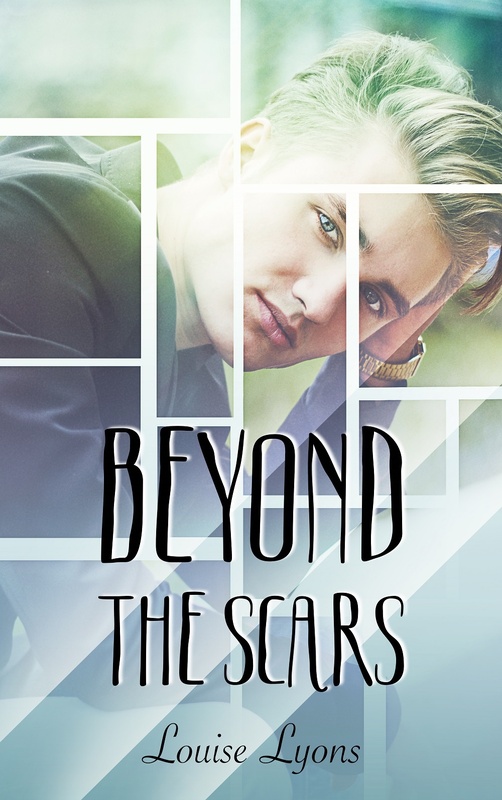 I have two other ideas in note form – a contemporary romance between two ex-jailbirds, and a paranormal romance featuring the ghost of a broken-hearted man who took his own life, so I have lots going on, which will hopefully all see the light of day during the next year. 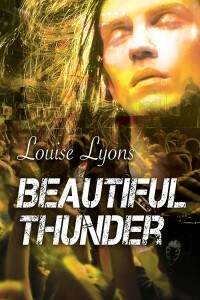 But for now, Beautiful Thunder is my book of the moment. You can read another excerpt on my blog, during which Alex goes for an audition with Nottingham, UK band, the River Rats, and meets his love, Lindsey, for the first time. Click the link below. Remmy Duchene here. I am one half of the writers responsible for Wounded Hearts. I know a number of you bought the story during pre-sales, thank you *blows you kisses* You are spank-tacular. Wounded Hearts is a monster of a story. Yes, even bigger than Captive to his Wonder that is now out at Dreamspinner as well. When we were finished I think both Sharita and I had nightmares about the editing process. I think it was about at 100K when we finally wrote those two horrifying words “the end.” During editing we cut out a lot to what we have now and as I re-read it during the process, I was so proud of my little Zane Ashford. Okay, as Dylan Thomas wrote in Under Milkwood, to begin at the beginning…. Yes, I know, you’ve seen me write with people before so you know I’m kind of a veteran with that. And it is something I really enjoy doing. This time around I was responsible for Zane Ashford aka Ash, aka Uncle Zee aka Big Daddy, the African American NYPD officer who is banished to the boonies of Montana so he can heal after a bust goes horribly wrong. I wasn’t sure what job to give Zane. As you know I’ve written quite a number of cops, Real Estate moguls, software gurus, writers – but this character just gave itself life. A cop was the only reasonable way to go and when you read the story you will see why. When Sharita and I wrote this tale, we didn’t really plan anything. We created small bios for each character and then tried sticking to that but as you can probably guess, quickly went off the reservation in all the best ways. But seriously, I enjoyed watching his pain and developing his relationships with those around him. Though Zane was unlike any man I’ve ever written (of course he had to be because Cyrus was unlike any lover I’ve ever given one of my men to) it was a good change for me. Starting a new job….starting a new class…starting a new hobby. A large part of life is doing things for the first time, trying out new experiences, and getting over that initial hurdle of anxiety to break out of your safe zone. 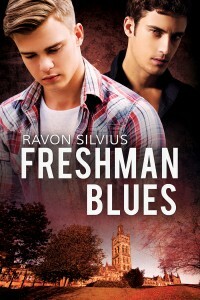 In Freshman Blues, Chris, the main character, is starting his first year of college. Of course, considering his grades, he never expected to be there at all. It’s totally overwhelming for him, especially to see people use super powers they’ve already learned during their time in college. He’s anxious, of course, but he gets through it by following through and making friends, and of course, developing a crush on another student. 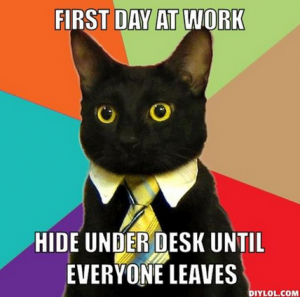 Once the initial experience is handled, getting into routine is easy. I think everyone has, to some extent, a tendency to develop routine just to keep themselves calm, even if it’s a simple coffee break at the same time every day. What small things do you guys use to relax? Is there a routine you like? Or do you prefer to keep things exciting and never do the same thing twice? Tell us all about your first time trying something, and how it went!